Recognized in Ohio as a true DUI defense warrior, Jeff has been invited to teach Ohio lawyers on varying issues of DUI defense since 2003. Jeff has also been involved in hosting approximately 15 continuing legal education programs both in and outside of Ohio. For the past three years, Jeff Meadows has been named as an Ohio Super Lawyer and in 2014, received the distinction of being one of the Top 50 Lawyers in Cincinnati. 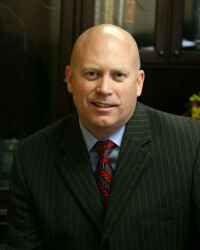 Jeff has also enjoyed an 10.0 “Superb” rating on AVVO.com and is a member of the Top 100 Trial Lawyers.